Published on 25. February 2019. 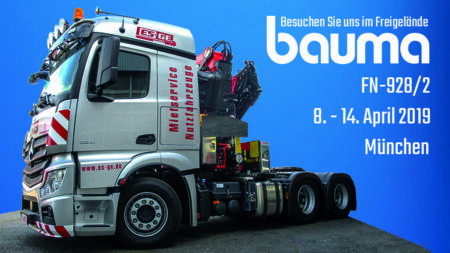 For a period of one week Munich regularly hosts the Bauma every three years. During these seven days, trade visitors, manufacturers and journalists from all over the world will turn the exhibition grounds into an international meeting place for the construction, building materials and mining machinery industries. A brief review of Bauma in 2016 illustrates the dimensions of the trade fair: Three years ago, Bauma combined well over 3,000 exhibitors from more than 50 countries on an area of ​​more than 600,000 m². Also this year we will be back with our own booth and will present our products and our service. At the world’s largest trade fair, we are focusing specifically on our rental service. With all its flexible design options, our rental program, which includes our entire product portfolio, is also an attractive solution for decision-makers in the construction industry. Our clients’ projects are often limited to a few months or weeks. It is not always economical to buy a specific vehicle. With our rental service, our customers take no long-term risk. In addition, they can rely on our extensive inventory of vehicles. 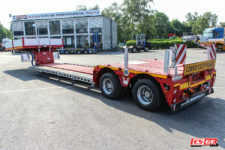 All vehicles – whether semitrailer, low loader semitrailer, truck with loading crane or truck tractor – comply with the latest standard of the manufacturer. The costs remain calculable and the short- and long-term liquidity is maintained. Our customers can thus rely on modern and technically advanced vehicles. Maintenance and repair work is carried out by our own workshop team or cooperation partners. If the profile of requirements change, our large vehicle pool offers sufficient opportunities to react to changing situations. As a special feature, we offer the option of hire purchase. Customers have the opportunity to buy a rented vehicle by a predetermined date. A large part of the rent will be credited. 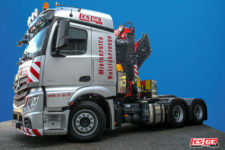 * Especially for the Bauma we will bring three vehicles from our portfolio this year . 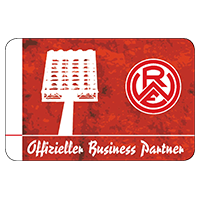 *Please regard, that we offer our rental-program only to German customers or Customers with at least a subsidiary in Germany. 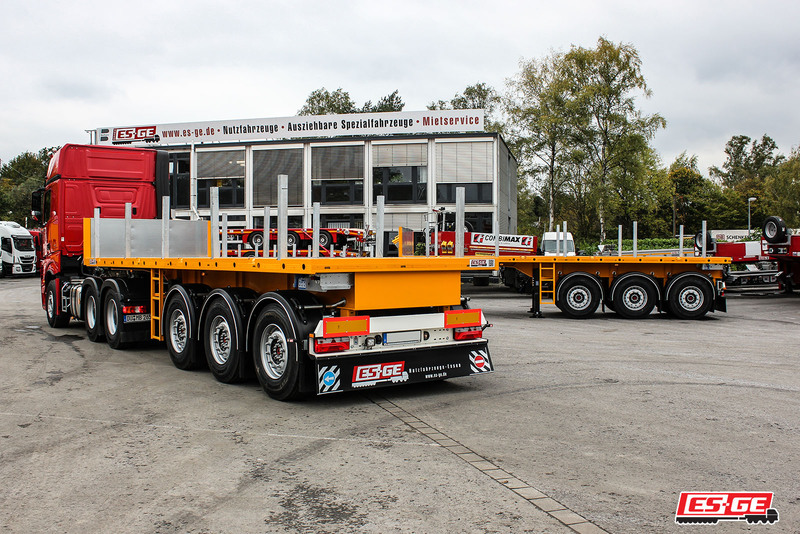 Our ballast semitrailers appeal in particular to construction and crane companies. 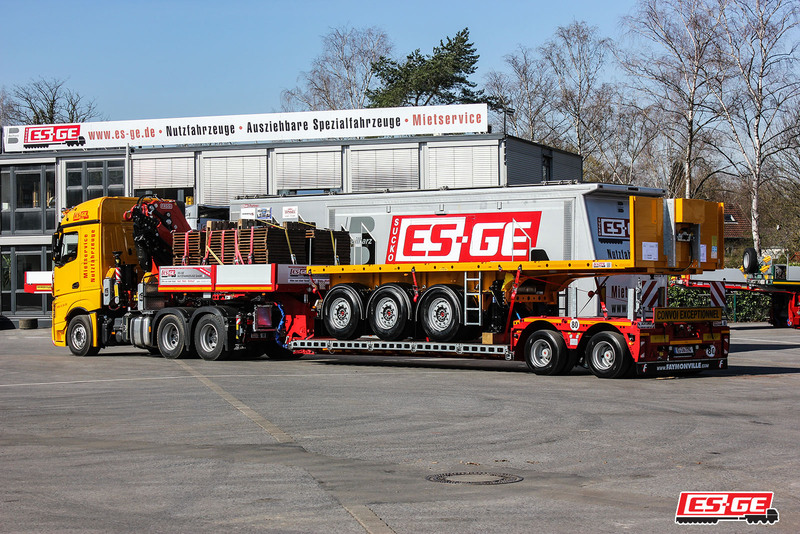 At the Bauma in Munich we will present our compact, 3-axle model. The vehicle measures 8,040 mm in length and still offers a technically possible payload of approx. 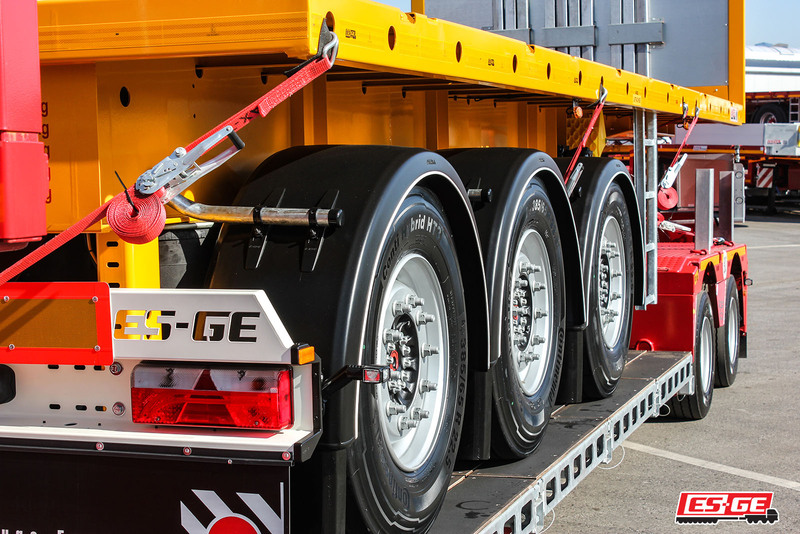 44,800 kg – with optimal load distribution. The semi-trailer weighs just about 5,150 kg empty. 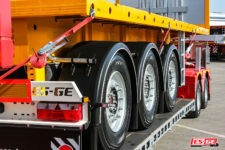 The special design allows a 5th-wheel-load of 23,000 kg. 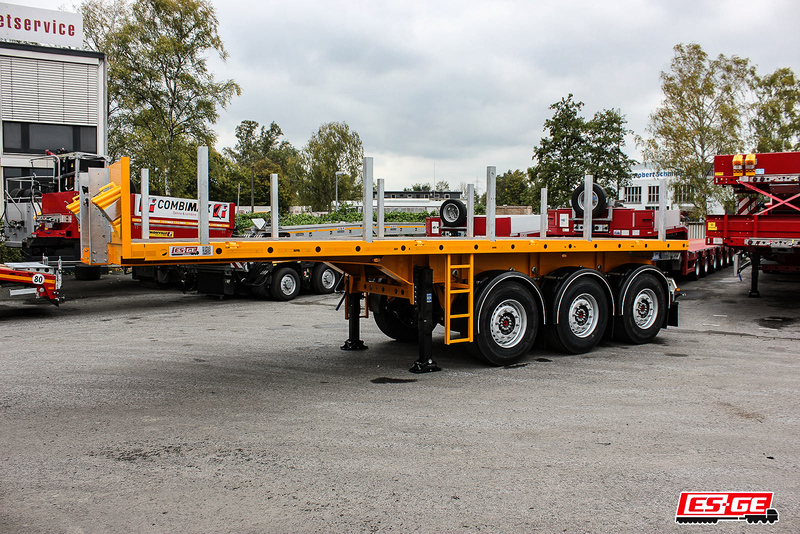 Three 9-to-axles carry the rest of the load and push the technically possible total weight to 50,000 kg. The swing-through radius of approx. 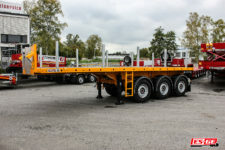 2,700 mm allows the short ballast semi-trailer to operate with a 4-axle truck-tractor, so the technically possible fifth-wheel load can be used effectively. 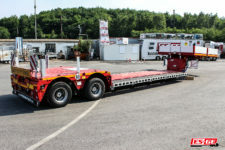 High point loads are also no problem for the semi-trailer. The load is taken up by the floor which is embedded in the outer frame. 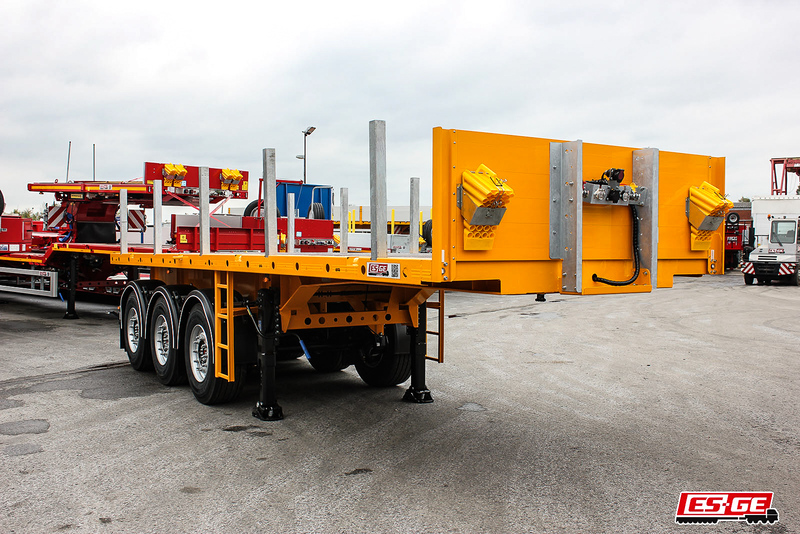 Numerous lashing options are installed in the loading area and in the outer frame to ensure professional load securing. The vehicle, designed for the transport of crane weights and entire crane parts, can be parked without any worries. The support legs provide the necessary reserves with a maximum possible static load of 50,000 kg. Our entire product range of the ballast semitrailer segment covers 3- to 6-axle vehicle types, which can be equipped with different steering types depending on the application. 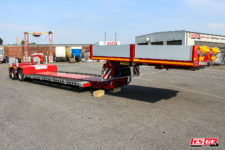 Assembly work, mounting large crane equipment and loading activities – there are many possible applications for truck-tractors and trucks with loading crane. On construction sites and especially in rough terrain, flexibility is highly required. 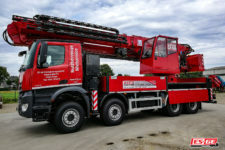 With the endlessly swiveling crane, which is equipped with many technical aids, the exhibited vehicle feels at home on the construction sites all over the world. 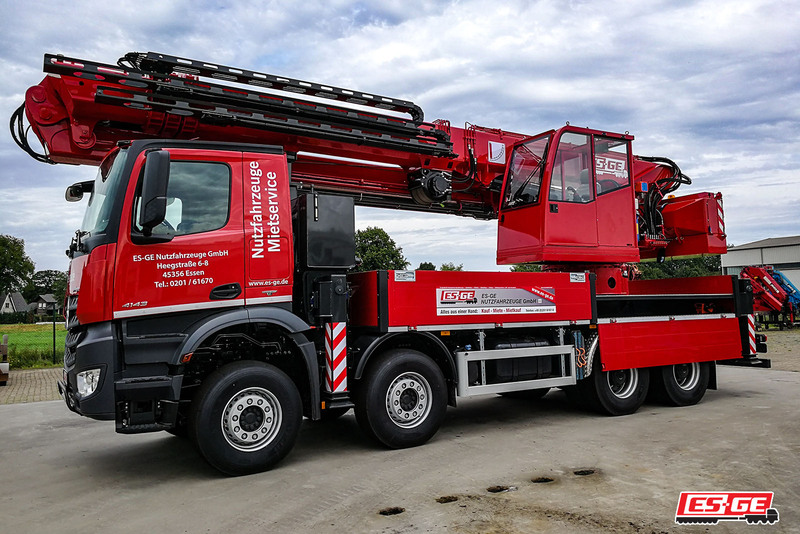 The FASSI crane is carried by a Mercedes-Benz chassis. The converted tractor unit type Actros 3351 LS complies with the emission standard EURO 6 and produces 375 kW (510 hp). Numerous technical aids ensure safe operation of the crane. Software and hardware work hand in hand at a high level. 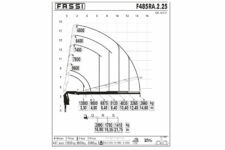 On the one hand, the ultra-high-strength steel grades used by FASSI ensure an optimum balance between stability and weight. On the other hand, digitization does not stop at cranes. Just to name a few details of the equipment list: Fassi Stability Control, Automatic Dynamic Control and Crane Position Monitoring. Cleverly used tools that make everyday life easier for the operator. 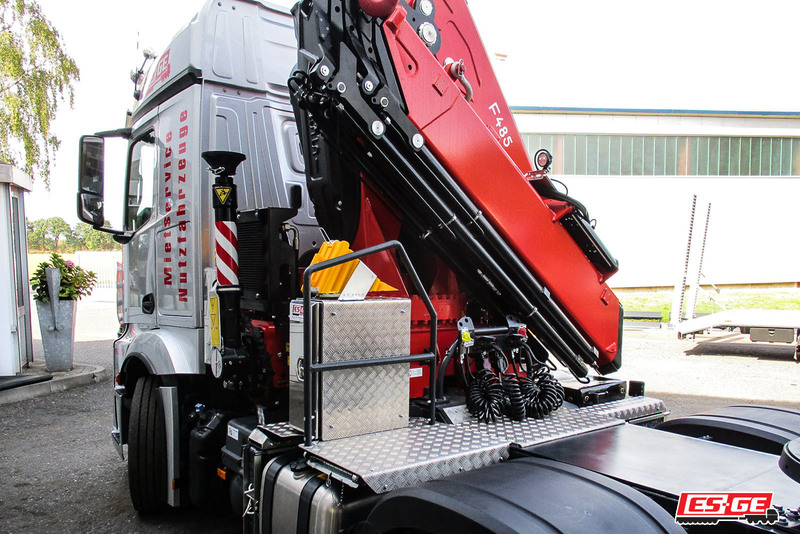 FASSI supplies the crane F485RA.2 xe-dynamic with a digital radio remote control as standard. The communication between the remote control and the crane takes place alternately and is secured by an automatic frequency search. 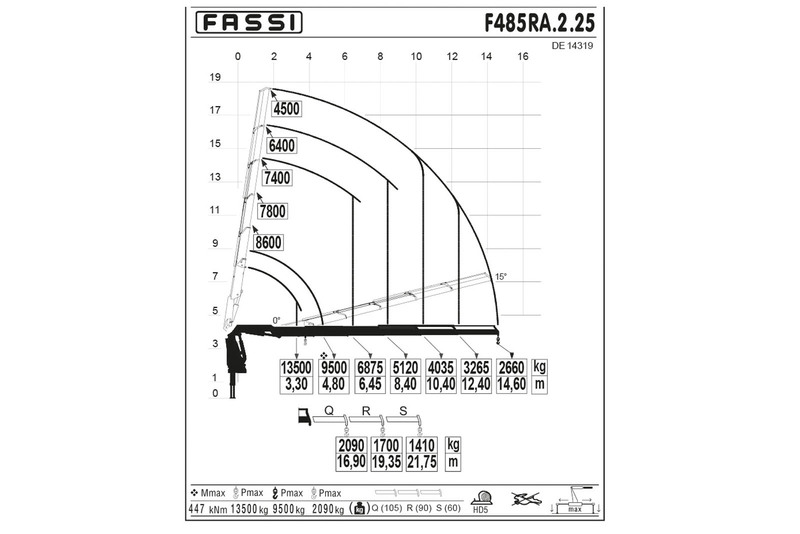 A large display ensures that all important parameters always remain in the view of the operator. In short: easy use for heavy equipment. 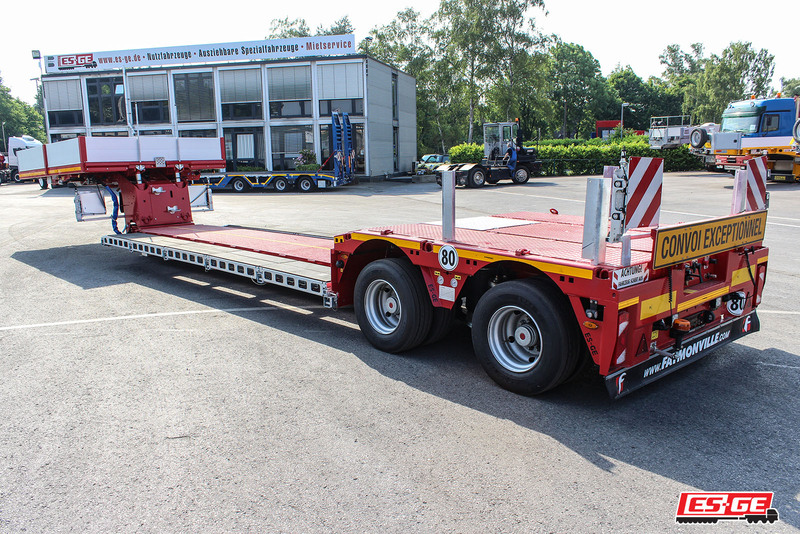 The Faymonville telescopic low bed semi-trailer rolls on air pneumatically suspended axles, that are equipped with hydro-mechanical forced steering. 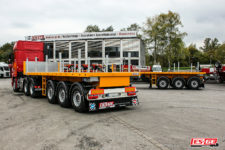 The vehicle of the type MegaMAX is particularly interesting for enterprises, which have to transport construction machines and tracked vehicles or harvesters. The detachable neck, which can be separated if necessary from the rest of the vehicle, allows easy loading form the front. It is suitable for truck-tractors with wheel formulas 4×2 and 6×2. The payload of at least 25,900 kg are carried by the two steered 10-to axles and the neck with a max. load of 18,000 kg. The vehicle presented in Munich is well-protected from external influences by metallization, shot blast treatment and a special heat treatment. 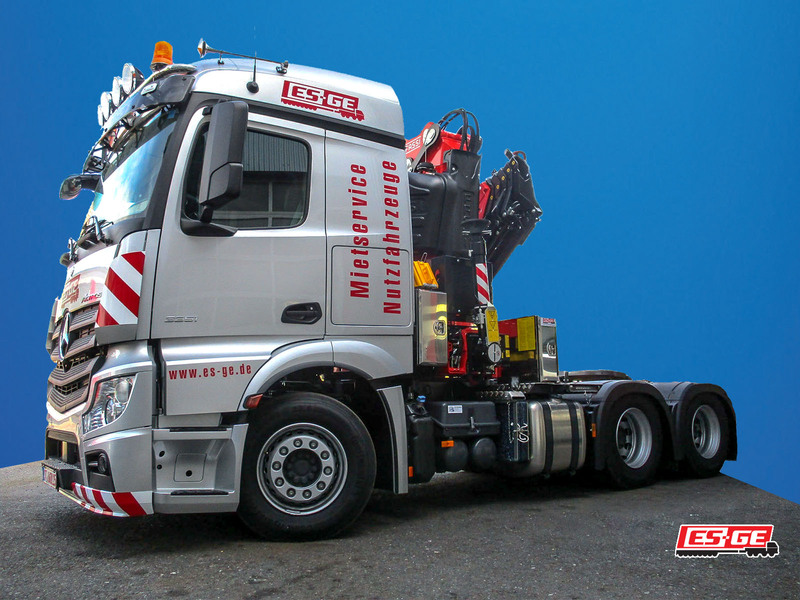 In cooperation with the crane manufacturer MKG, we will be exhibiting another vehicle. 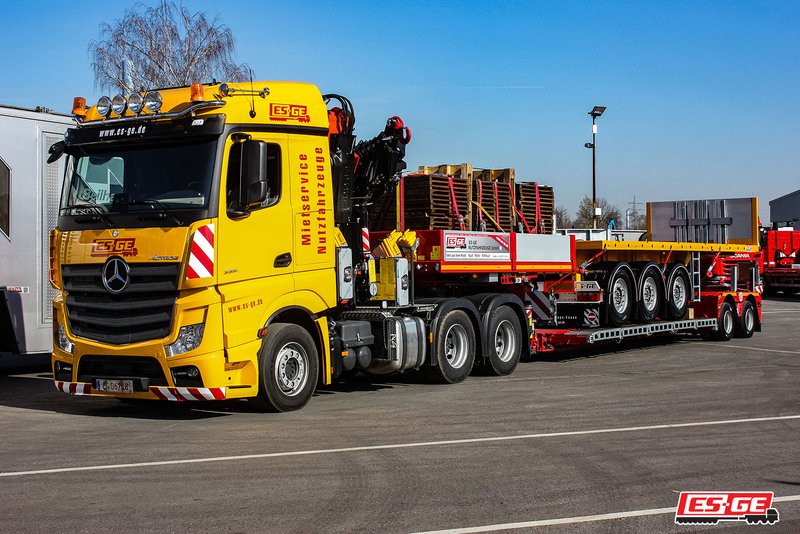 The 4-axle chassis of the crane vehicle comes from Mercedes-Benz. A crane type HMK 991HP Ta2-a3 from MKG was put on the chassis of the Arocs series. The crane is e.g. equipped with a double telescopic boom and a pluggable hydr. Joint. At an angle of 45 °, the crane reaches a maximum hydraulic range of 30 m. The maximum hook height is approx. 41 m. The vehicle will be exhibited on the booth of MKG. Outdoor area – Stand FN.831.